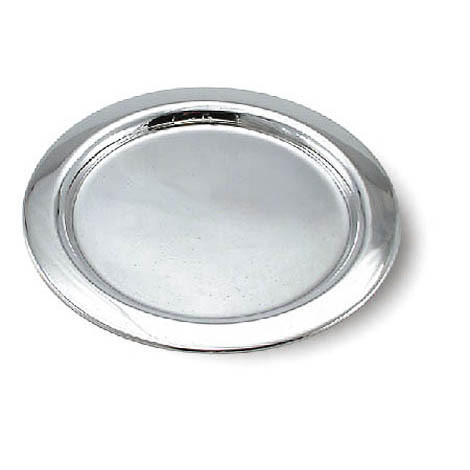 Bier Judaica's Round Kiddush cup on base design with “Borei pri Ha’Gafen” on the cup brings the classic Kiddush cup to the next level of sleek elegance and the sturdy base helps it not tip over. 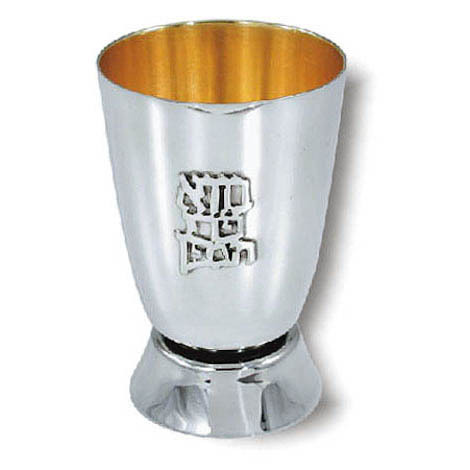 An original Jizchak Bier design, this shiny silver Kiddush Cup has a great twist. It's on a base, and thus avoids a common flaw of Kiddush cups, in which they are easily tippable and trust me, a wine stain is not something you want. But the base is done in a very pretty way, and doesn't detract from the beauty of the cup, in fact the shape of the base enhances the shape of the cup and makes it more interesting to look at. Bier Judaica is all handmade in Israel, a tradition begun in 1950 of quality creative Judaica.